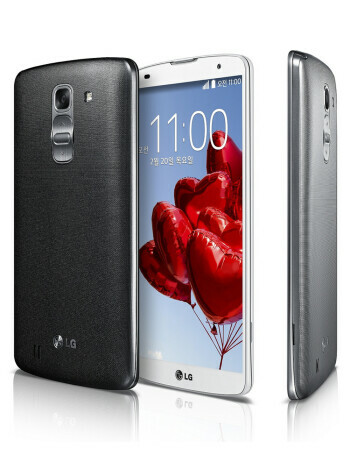 Aperture size: F2.4; Focal length: 29.22 mm; Sensor size: 1/3.06"
The LG G Pro 2 is, more or less, the LG G2's larger "cousin". As such, it has adopted the unorthodox placement of the power and volume keys. Buttons aside, the LG G Pro 2 is a plastic-made device with a solid, reassuring feel. The LG G Pro 2 is wield-able, but operating it with a single hand is rather difficult. It is equipped with a gorgeous 1080p IPS panel. It ships with the latest version of Android – 4.4 KitKat. It has the new KnockCode feature, which allows one to set their own tapping pattern for unlocking the device. Another celebrated by PhoneArena feature is the IR blaster, which allows you to take control of your TV, air conditioner, DVD player, and more. A 2.3GHz quad-core Qualcomm Snapdragon 800, and 3 gigs of RAM keeps the G Pro 2 running and gunning. The internal storage is 32GB. 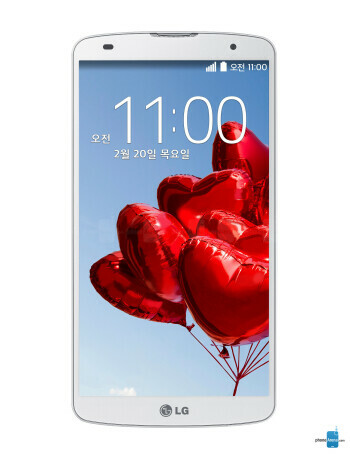 The LG G Pro 2's 13-megapixel camera now touts LG's improved OIS+ technology, 4K resolution video, slow-motion recording, Natural Flash, Magic Focus, and more. Ultimately, the LG G Pro 2 is a great device. 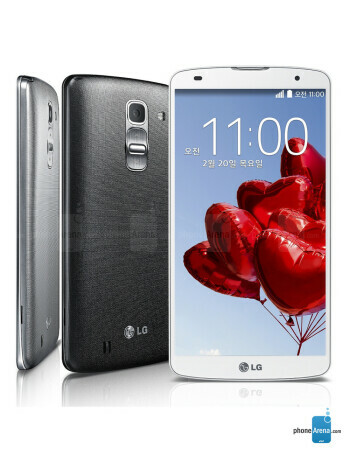 Price cuts looming for LG G Pro 2 and Samsung Galaxy Note 3?